Fauxwood Venetian blinds are the greatest alternative to wooden blinds because of its affordable price. Now, while these wooden blinds are a favorite for decades, solid wood isn’t always the most practical material to use for every room in the house. Some rooms are exposed to more moisture and these solid wood aren’t resistant to that. What are Fauxwood Venetian blinds’ advantages? 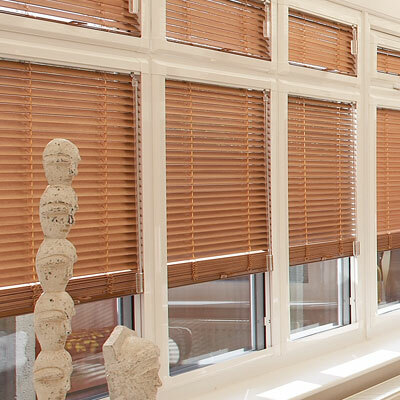 Fauxwood Venetian blinds are far more resistant to moisture and are sturdier and more hardwearing than real, solid wood. These fauxwood blinds can withstand extreme temperature and strong sunlight without warping or fading, unlike solid wood blinds. Another advantage in opting to have fauxwood blinds is that they generally cost lesser and are more affordable than real wood blinds. This kind of blind has a huge range of finishes, which means that they can complement the existing decor of your home. There are a lot of choices to choose from. You can have a rustic pine finish, or a crisp whitewashed wood look, or a dramatic dark wood effect. The options are almost endless! Vinyl and composite fauxwood venetian blinds are available in a variety of textures, too! The smooth finish blinds will be easier to clean and maintain, while the textured blinds will generally look and feel more like real wood. In rooms like the kitchen and bathroom where dust, dirt, moisture, and grease tend to accumulate, these fauxwood venetian blinds can be very functional. Aside from the advantage that they are easy to keep clean, these blinds can also withstand more moisture than real wooden blinds. In addition, fauxwood blinds are more environmentally friendly than hardwood blinds. Another advantage of faux wood blinds is that they are easy to install. There are no complicated headings or rails. The slats come pre-threaded and all you have to do is hang them correctly in the right spot. These blinds also provide you with maximum control over privacy and sunlight penetration. These blinds are comprised of horizontal slats. The slats can be lowered or raised according to the level of privacy that you desire. They can also be angled open or closed, according to the amount of sunlight that you’d like to let in. Fauxwood Venetian blinds definitely have its own quirks and advantages that will surely appeal to most homeowners. Especially to those who are looking for a window covering that is stylish, functional, and practical.